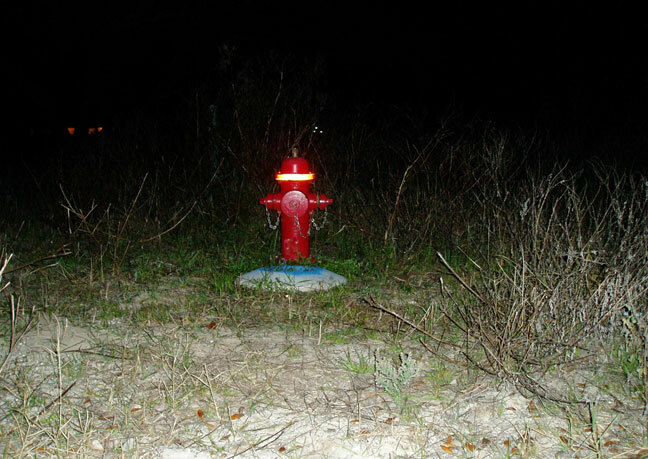 It is very important that fire hydrants be clearly visible day and night. Reflective tape is widely used to accomplish this purpose. 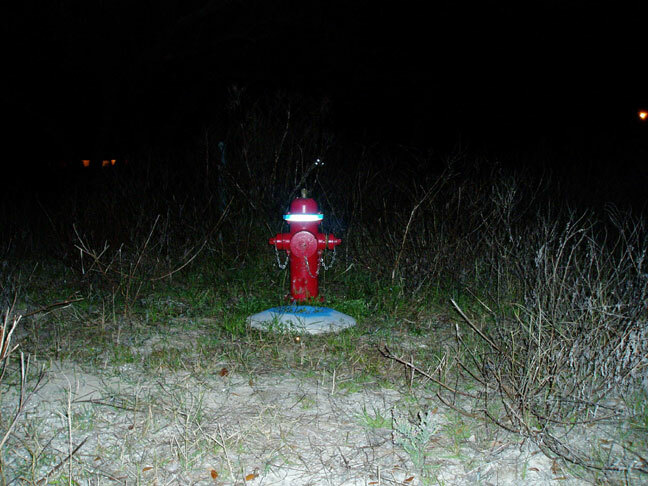 The most common way to accomplish day and night visibility is to paint the fire hydrant a bright color like yellow or red and then use a band of reflective tape for night time visibility. For close up reflectivity a standard reflective tape is fine. For applications where the tape needs to be seen at a distance (500 feet or more) a brighter tape will need to be used. A one inch or two inch reflective strip is normally all that is necessary. 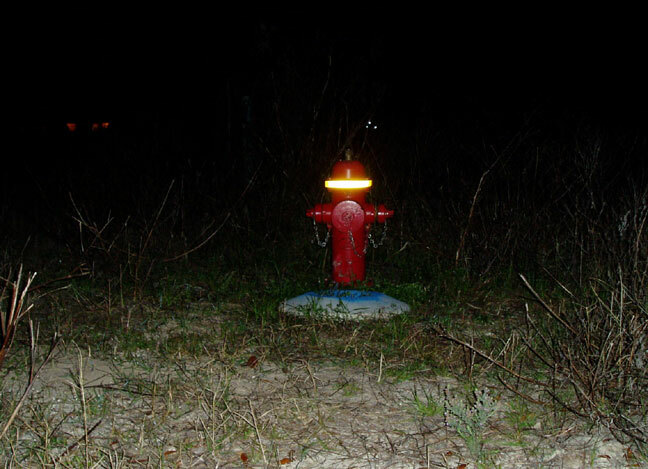 The picture below shows a high intensity yellow on a red hydrant. Yellow is the second brightest color after white. Fire hydrants often lack a smooth area to apply tape to. It is for this reason that we recommend three types of “Flexible” reflective tape that are able to mold to uneven surfaces. These films will actually stretch a little which is what allows them to perform well on uneven surfaces. The third is our conformable prismatic tape or V98 by Reflexite. It is about 2 times as bright as high intensity. This product can be purchased at www.colebrothers.com in Fluorescent Lime Yellow, Red, White, and Blue. 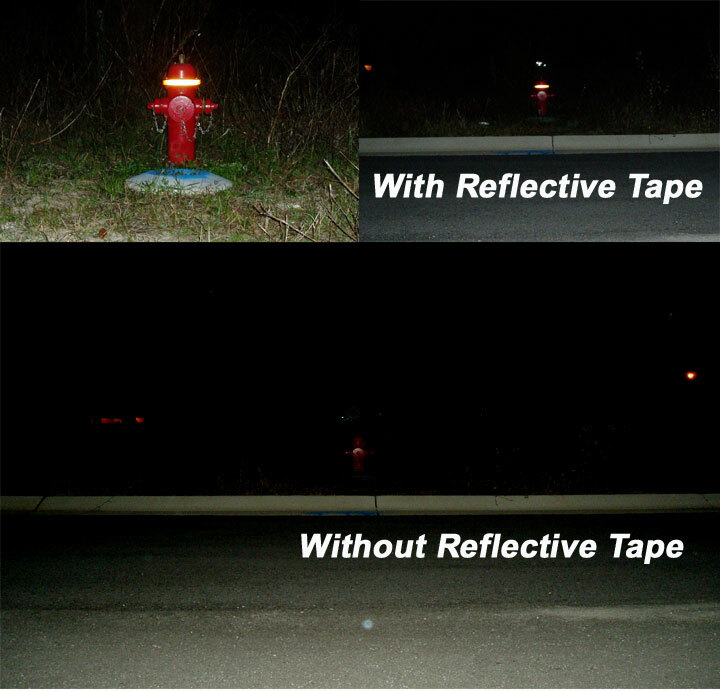 The picture above shows red reflective tape. The picture below shows blue.